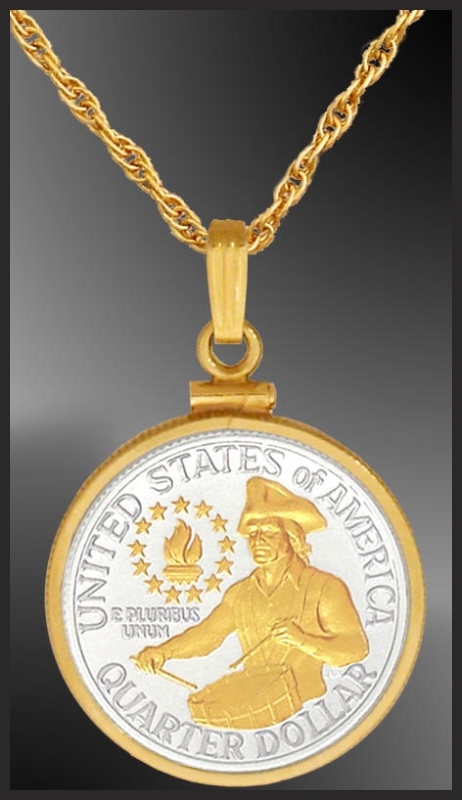 Necklace featuring the US Bicentennial Drummer Quarter. These genuine 1975 & 1976 US Quarters are magnificently enhanced with pure gold on silver and then LensCote sealed for a lifetime. Mounted in high quality 14K gold filled bezel, your necklace comes with a 20" durable IP Gold chain.